One of two illustrations to P.Engelhardt's "Poems". Paper size: 16,3x10,4 cm, condition good, on the left and right edges visible is the shape of the plate. Signed right down corner "D.Chodowiecki inv.&sculp.". Number 421 in Engelmann's catalogue, second version of this plate. On verso a print of an ink collector's stamp "I. v. Bl.". 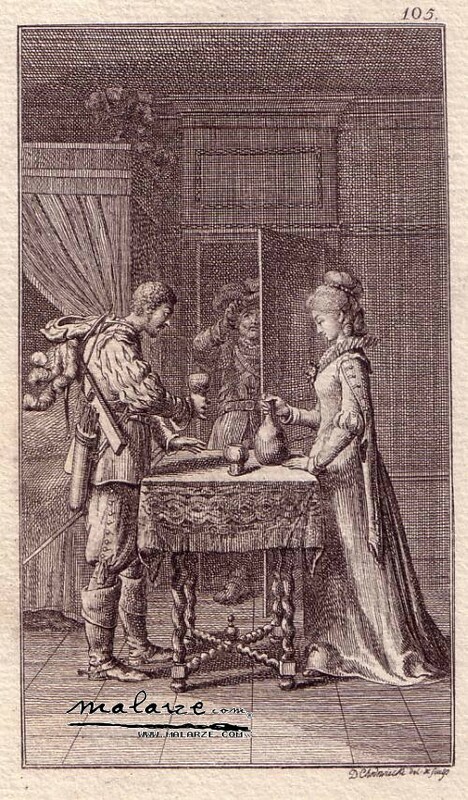 Unique etching.